In this story, like in many other EcoTipping Points stories, environmental deterioration begins with colonization, and the countervailing environmental restoration begins with grassroots action. The Green Belt Movement takes a bottom-up approach to community empowerment, environmental conservation, and improved livelihoods. The Movement is best known for planting 51 million trees, but it has many other projects as well, producing a wide range of benefits. Kenya is in East Africa, on the equator. It is surrounded by Tanzania, Uganda, South Sudan, Ethiopia, Somalia, and the Indian Ocean (see Figure 1). The country's area is 582,650 sq km (224,962 sq mi)—slightly smaller than the U.S. state of Texas. Altitude ranges from sea level to 5,000 meters and rainfall ranges from 200 to 1,000 mm (8-30 in) per year (i.e., from very arid to semi-arid) (nationsencyclopedia.com). There are five "water towers" in Kenya—forest-covered mountains that catch rainfall and supply water to millions of Kenyans: Mt. Kenya, the Aberdare Range, the Mau Forest Complex, Mt. Elgon, and the Cherangani Hills. The forest is key: In the tropics, leaves fall year-round and form a layer of humus—sometimes up to 10 feet deep—that acts as a "sponge" to hold water. The water then percolates down and later emerges in rivers and springs. The forest can also affect rainfall, as leaves transpire water into the atmosphere (Cox 2012, naturekenya.org, Green Belt Movement 2012a, Maathai 2004a). Like most of the African continent, Kenya was colonized in the 1800s, with profound consequences for the ecosystem. Widespread clearcutting occurred as the British "tamed the jungle" to make way for tea and coffee plantations. Even after independence in 1963, deforestation continued for the sake of economic development. By 1978, forest cover had fallen from 30% to just 2% of Kenya's land area (KTN News Kenya 2011, Scott 2013, Graydon 2005). Along with colonialism came capitalism and Christianity, which changed people's attitude toward nature. Kenyans' profound cultural relationship with the land and "reverential attitude to the rivers, mountains, and trees" was replaced with a view of "nature as a commodity: something to be exploited, sold for dollars, something that was up for grabs instead of a community resource that needs to be nurtured for future generations" (Graydon 2005, quoting Wangari Maathai). Colonization and capitalism also led to the paradox that while Africa is rich in resources, its people are among the poorest in the world; over-exploitation of the land exacerbates this poverty (Maathai 2011, Scott 2013). According to World Bank statistics, Kenya's per capita gross domestic product is just $1,377 per year—which is low but considerably more than its five neighbors. The Green Belt Movement (GBM) is best known for planting belts of trees, but it has developed many other projects as well—including protecting public land, improving household food security, civic education, income-generating activities, and improved cookstoves. The Wangari Maathai Institute and Wangari Maathai Foundation also grew out of the Green Belt Movement. Any story about the Green Belt Movement must start with the childhood of Wangari Maathai. She was born in 1940 on a farm near the town of Nyeri in central Kenya, in the foothills of Mt. Kenya. At an early age Maathai did see distant trees being burned to make way for plantations. But her farm was lush and fertile, with abundant rain and no reasons for fear or uncertainty. Tending crops and fetching water and firewood were easy tasks. Frog eggs and tadpoles in the stream particularly fascinated Maathai and may have been the seed of her interest in biology. One day her older brother asked why she was not going to school. In those days it was rare for girls to attend school, but Maathai's parents decided to send her. She was a very good student, especially in math and science, and in 1959 was chosen to join the "Kennedy Airlift"—a program that sent hundreds of African students to the U.S. for a college education. By 1966 Maathai had earned her bachelor's and master's degrees in biology. She also experienced the civil rights movement of the 1960s and became a strong human rights advocate. Maathai continued her studies at the University of Nairobi, and in 1971 became the first woman in East and Central Africa to earn a doctorate degree. She taught veterinary anatomy at the University of Nairobi, and was the first woman in the region to become an associate professor and the first woman to chair the Department of Veterinary Anatomy. It was not long before she began to question why women were being paid less than men (greenbeltmovement.org, Green Belt Movement 2012a, Scott 2013, Graydon 2005, Al Jazeera English 2008, KTN News Kenya 2011). In the course of her doctoral research Maathai traveled around the countryside and noticed an alarming degradation. More forests had disappeared. The stream near her childhood home was filled with red silt and the tadpoles were no longer there; many streams and springs had dried up entirely. The people and their livestock looked malnourished. Women complained about the many miles they had to walk in search of firewood and clean water, and the fact that the rains seemed to fail more often. More than most others, Maathai recognized the connection between the health of the land and the health of the people, and the vicious cycle of environmental degradation. Tree planting seemed like the natural choice to address the needs identified by the women. "If you destroy the forest," she said, "then the river will stop flowing, the rains will become irregular, the crops will fail and you will die of hunger and starvation …. Planting trees breaks the cycle. When we can give ourselves food, firewood, and help to nurture soil for planting and clean water, then we begin to roll poverty back" (Graydon 2005, Scott 2013, greenbeltmovement.org, Maathai 2004a, Maathai 2004b, Strides in Development 2010, Independent Lens 2009). After the 1972 United Nations Conference on the Human Environment (the "Earth Summit") in Stockholm, the United Nations Environment Programme was established, with its headquarters in Nairobi, Kenya. It was not long before Maathai joined the board of its Environment Liaison Centre. She also joined the National Council of Women of Kenya (NCWK) and became chairwoman of its Environment and Habitat Committee (Scott 2013, Maathai 2004a). Maathai had started a company called Envirocare to grow and sell tree seedlings, but it was not very successful. In 1977 she proposed tree planting at the community level as a project for the NCWK's Environment and Habitat Committee. The committee initially argued against it but, since it was the only idea that was forthcoming at the time, it was accepted (Maathai 2004a). That was the beginning of the Green Belt Movement (GBM), although initially it was called Save the Land Harambee (harambee means "let us all pull together"). Its first tree planting ceremony took place in a Nairobi park on World Environment Day, June 5, 1977. Seven trees were planted to honor seven deceased Kenyan heroes. (Only two survived under the care of the Nairobi City Council, but they are big and strong today.) In September 1977, a second green belt was established when Kenya hosted the United Nations Conference on Desertification. 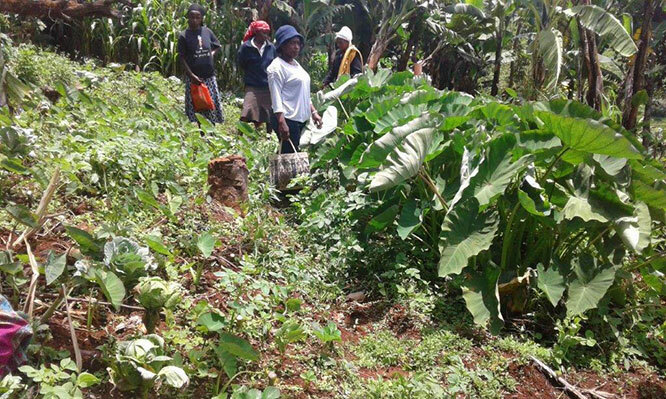 The trees were planted on land owned by a rural women's cooperative in Kiambu, a district that borders Nairobi province. The threat of desertification is a powerful motivator. A nationwide publicity campaign followed. Many farmers and women's groups, as well as public institutions such as schools and churches, were eager to participate, and eventually the demand for seedlings was more than NCWK could provide. Maathai met with the national Conservator of Forests and explained the group's plan to plant 15 million trees (15 million was Kenya's population at the time). The Conservator laughed at this seemingly unachievable goal and agreed to provide all the seedlings they needed free of charge. However, within a year Save the Land Harambee had distributed more seedlings than the Conservator could afford to give away for free, and he began to demand payment. It was decided that NCWK would encourage existing women's groups to establish their own tree nurseries (Maathai 2004a). Information dissemination to raise public awareness about the causes and effects of environmental degradation, and to establish contact with groups. Group formation using existing community organizations wherever possible, and education about the nature of the project. Locating a tree nursery site, which can be on public or private land. Establishment of the tree nursery, including soil preparation, fencing, etc., and instruction on basic tree nursery techniques. Initially the women were instructed by official foresters, but they made the subject needlessly complex. Instead, women are asked to use their common sense and farming experience. They are "foresters without diplomas." GBM provides tube-shaped plastic bags for the seedlings. 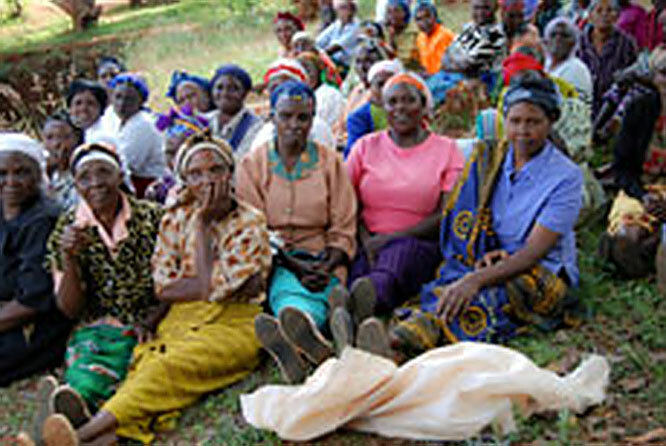 Initially GBM provided the seeds, but now women are encouraged to find their own in the forest. Nursery groups send monthly progress reports to GBM headquarters that indicate the number and types of seedlings and their growth. Once seedlings are ready for distribution, their availability is announced to the community. Anyone expressing interest is asked to dig holes about two feet wide and two feet deep. For private green belts, a minimum of 100 trees is recommended, and for public green belts at least 1,000. The holes are checked by nursery group members. Seedlings are distributed to those who dug holes properly. A first follow-up is conducted to ensure the trees were indeed planted and are still alive after one to three months. A second follow-up at six months ensures that the seedlings are well established. The GBM then pays the nursery group according to the number of surviving seedlings (Maathai 2004a, Scott 2013). 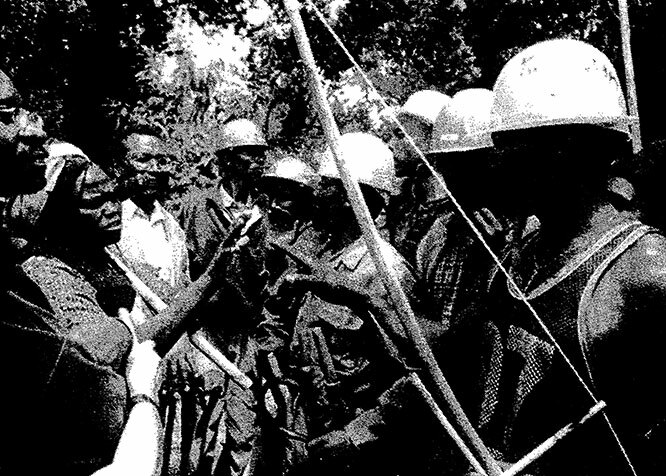 The movement eventually became more effective than the Forestry Department, which resulted in some hostility (Maathai 2004a). To date, hundreds of thousands of women have become involved and over 5,000 nurseries have been established (see Figure 4). More than 51 million trees have been planted—on farms, around schools and churches and hospitals, along roads and rivers, and in the countryside. 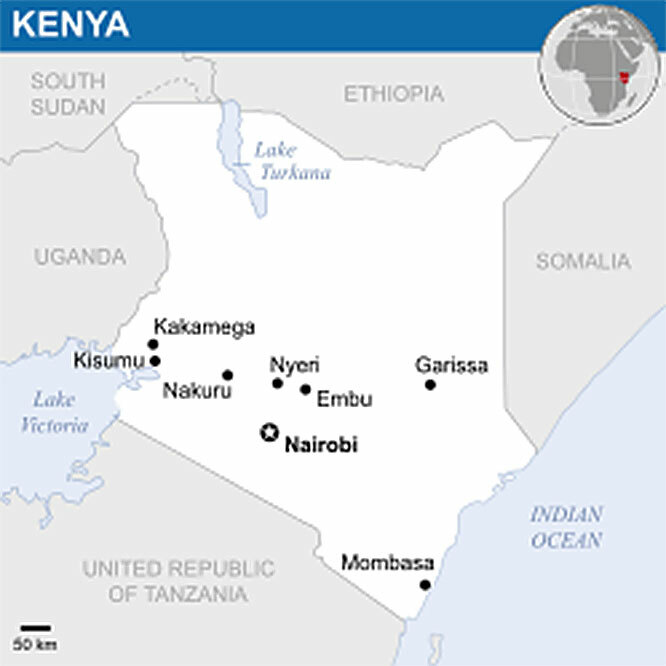 Now 6% of Kenya's land is forested, compared to 2% in 1978 (greenbeltmovement.org, Bioneers 2015, Green Belt Movement 2015a). Kenya's president, Daniel arap Moi, was in the habit of giving public land—which is commonly owned by all Kenyans—to his friends and allies in government, and to private developers who became known as "land grabbers." Government officials were also involved in a lucrative trade in illegally logged wood. Wangari Maathai was determined to stop them. On more than one occasion she said she was willing to shed blood for the land, like her ancestors did (Motavalli 2002, Independent Lens 2009, Center for International Forestry Research 2011). The best known cases are Uhuru Park and Karura Forest. In 1989 Maathai learned of a plan to build a $200 million 62-story business complex in Uhuru Park, one of the last public green spaces in the capital Nairobi. A court process failed to stop the development, and civil disobedience (i.e., demonstrations) followed. Maathai's letters to the Minister for Environment were ignored. But when she wrote to Prince Charles in England, comparing Uhuru Park to Hyde Park in London, it captured the attention of the international press as well as the Kenyan parliament. In 1991 international investors pulled out of the deal and it was officially dead. President Moi called Maathai a "mad woman" and a "threat to the order and security of the country." She became a target for harassment to silence her. People began to avoid her for fear of the government (Maathai 2004a, CGTN Africa 2013, KTN News Kenya 2011, MacDonald 2005, Motavalli 2002). In 1992 Uhuru Park was the scene of a prolonged women's hunger strike, led by Wangari Maathai, to free political prisoners who were being held without trial. The place became known as "Freedom Corner." Police reacted violently; Maathai was beaten unconscious and hospitalized in critical condition. Despite the attacks the women refused to give up. After 11 months, President Moi finally conceded and 51 political prisoners were released (Motavalli 2002, Center for International Forestry Research 2011, KTN News Kenya 2011, CGTN Africa 2013). In 1998 Maathai found out that President Moi was giving away 250 acres of Karura Forest—a 2,500-acre forest on the outskirts of Nairobi—to politicians in his government for construction of luxury houses. She went there and saw that fences and roads were already being constructed. She wrote to the Minister of Environment but was ignored. So the Green Belt Movement organized a protest of this privatization, in the form of tree planting. However, private security guards ("hired thugs") prevented them from entering the forest. When they planted a single tree near the gate, "all hell broke loose" and the guards began beating people. Maathai was severely injured. She went to the police and signed her name in blood on the police report. A group of young people was more forceful: they reportedly set fire to a bulldozer and a house. There was no more construction after that (Center for International Forestry Research 2011, KTN News Kenya 2011). The situation improved considerably in 2002, when Moi lost the presidential election and Maathai was elected to Parliament. She became the Deputy Minister for the Environment, Natural Resources, and Wildlife. "I used to get hoarse shouting from outside," she said, "Now that I am in [the government], I'm trying to tell them from inside that this is the way it should be" (MacDonald 2005). In 2004 Maathai was awarded the Nobel Peace Prize for her contributions to sustainable development, democracy, and peace—the first African woman and first environmentalist to win the prize (CGTN Africa 2013, Scott 2013). Green Belt Movement relations with various government agencies improved—e.g., the National Forest Service, the Water Resources Management Authority, and even the military. The Kenya Forest Service and Friends of Karura Forest jointly developed management plans for Karura Forest that allowed only an administrative office at the gate, a visitors information center, and a café (Graydon 2005, MacDonald 2005, greenbeltmovement.org). In 2016, Forest Road was officially renamed Prof. Wangari Maathai Road (WMF 2016). Development on wetlands and riparian reserves in various locations (http://www.greenbeltmovement.org/news-and-events/blog). Many households in Kenya suffer from malnutrition—a lack of sufficient supplies of food throughout the year, and/or an unbalanced diet. 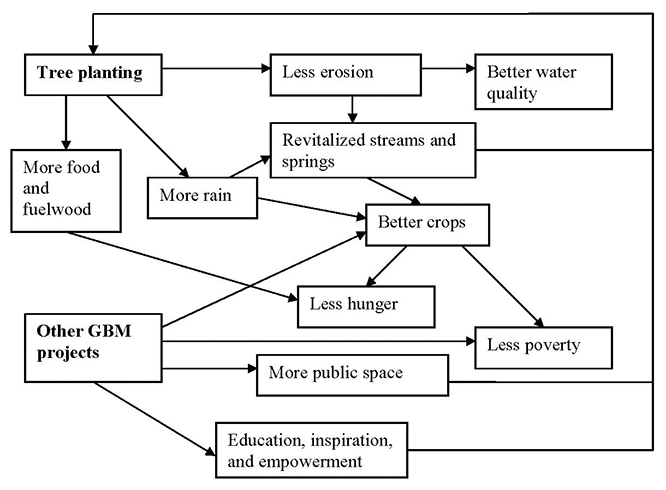 GBM tackled the problem by educating farmers, with its typical bottom-up approach. Seminars and meetings were held "to assist communities in analyzing and understanding their food security risks and then learning and practicing simple, ecologically friendly initiatives." Demonstration gardens were established to illustrate the techniques. Farmers learned that their soils could be improved, yields could be increased, and the need for chemical fertilizers could be eliminated with organic methods—e.g., using animal manure, mulching, composting, agroforestry, and crop rotation. They also learned that focusing on cash crops can undermine household food security, especially because of "gross underpayment" for the cash crops. Traditional, indigenous food crops were encouraged because of their nutritional value and ability to withstand harsh environmental conditions. Various root crops, legumes, and cereals, and vegetables were promoted, as well as napier grass to prevent erosion and serve as animal feed (Maathai 2004a, Green Belt Movement 2015a, Green Belt Movement 2016). One valuable revelation, according to farmer Irene Wa Ndirangu, was that arrowroot grows well on the farm and not just on the river bank. Fruit trees such as mango, papaya, and banana were also encouraged to improve the farmers' diets. In addition, water harvesting techniques were taught such as simple damming, terracing, and contour farming, and storage tanks to collect rooftop runoff (Maathai 2004a, Green Belt Movement 2015a, Climate Reality 2014, Bioneers 2015). Professor Maathai saw that behind the everyday hardships of the poor were deeper issues of disempowerment. GBM launched a civic education pilot project. Interactive seminars were held at the GBM Training Center in Nairobi and in the villages. According to Maathai (2004a, p. 47), "the experiences and concerns of the participants formed the basis for discussions and recommendations." The main issues addressed were: governance, culture and spirituality, Africa's development crisis, and human and environmental rights. 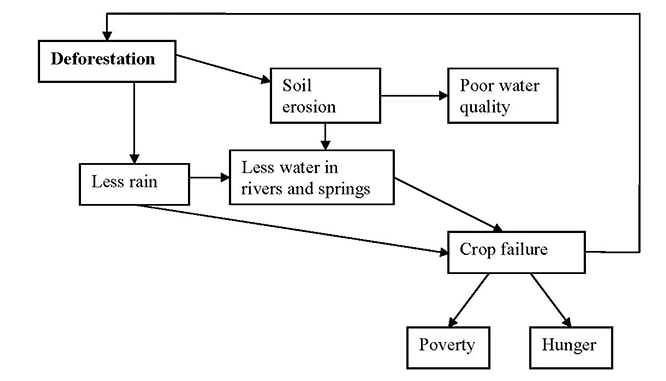 People were made more aware of the connections between their actions and their problems, both in the environment and the society (Maathai 2004a, MacDonald 2005). GBM's experience shows that when the communities understand the linkage between their actions, environment and their livelihood situations (poverty, water scarcity and soil loss and food insecurity) they are more likely to muster their energies and take action for change. In a 2004 speech at the Bioneers National Conference, Wanjira Mathai, Wangari's daughter, explained that the process begins with a program of self-exploration. Participants are asked, "What are the problems that you face in this community?" and they usually create a long list. When asked "Where do you think these problems come from?" they usually blame others (the government, other tribes, their neighbors, etc. ), but slowly realize their role. Poverty, lack of food, and lack of water may be related to the way they are farming and how they are caring for the commons—e.g., the protection of rivers and forests. After three days of discussing, participants realize that they, too, have a role to play in solving their problems. Participants also learn about human rights—women's rights, civil rights, social, political, and economic rights. This knowledge empowers the community; a tree planting campaign and/or education on better farming methods, as described above, is a logical next step (Bioneers 2015, Scott 2013). The money paid by GBM to nursery groups is a small "token of appreciation"—about 10 cents per tree. Some were able to leverage this money by creating a community revolving fund (a "merry-go-round"), and some grew enough surplus firewood that they could offer it for sale, but more income-generating opportunities were needed. GBM decided to promote sustainable livelihoods such as beekeeping, raising chickens and rabbits, dried vegetables, and silkworms. Through an improved system of "trainers of trainers," new ideas can spread very quickly. For instance, the GBM trained 407 trainers of trainers, who then went on to train 50,000 trainers, who in turn trained 300,000 community members (Green Belt Movement 2016). A new pilot project is the Bamboo Biomass Entrepreneurship Initiative. It initially involved 24 women, but if successful could become a national campaign using the tree planting skills of GBM's hundreds of thousands of women. Bamboo grows very quickly—up to 3 ft. per day—and has many uses: besides being a low-emission cooking fuel, bamboo can be used to create houses, fences, textiles, furniture, dishes, utensils, crafts, and jewelry, among other things. The Kenya Bamboo Centre was built two hours from Nairobi to showcase the many uses of bamboo. Also, at 15 tons of carbon per year sequestered per 2 acres of bamboo, it has some income-generating potential in the global carbon market (Climate Reality 2014). Eco-experience – Guests have the opportunity to experience GBM's work while enjoying the rich culture of the local communities. Educational Safaris – Ideal for student groups desiring a structured experiential program that encompasses talks and visits. At a Glance – Ideal for friends and supporters of GBM who want to familiarize themselves with GBM activities in the field but have limited time. 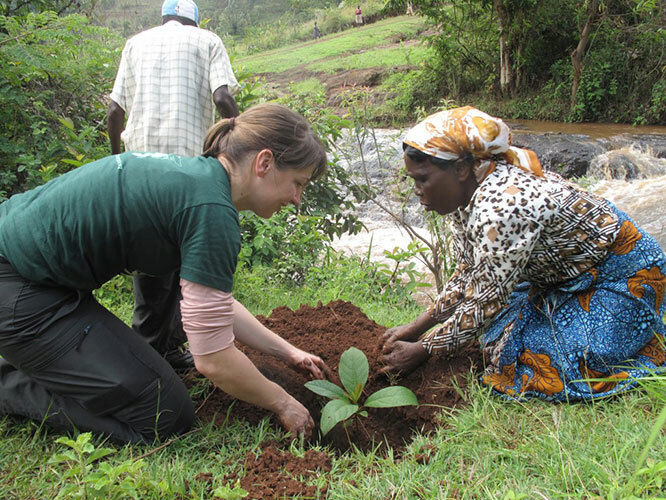 Plant for Kenya – Ideal for GBM supporters locally and from around the world, this is part of GBM's scaling up of tree planting in targeted watershed areas (Green Belt Movement n.d.1). Traditional wood stoves used for cooking are notoriously inefficient. They require a large amount of fuelwood, which causes extra labor and stress and environmental damage. They also generate heavy indoor air pollution, which causes poor health and an estimated 4 million premature deaths worldwide every year (Green Belt Movement 2015b). 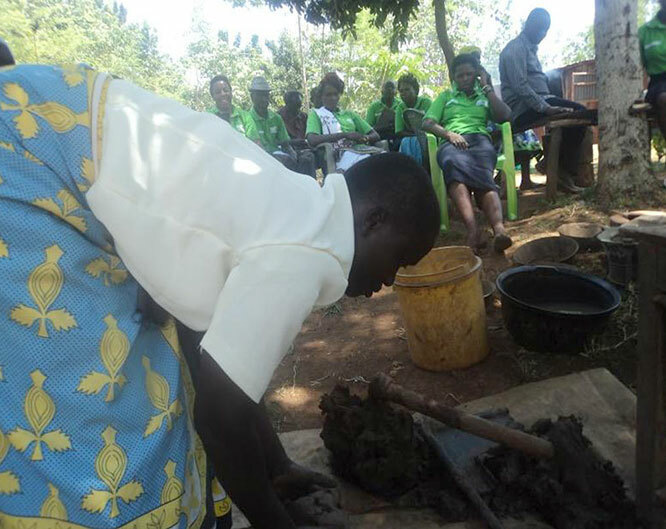 The Green Belt Movement's training program promotes various types of improved cookstoves as well as alternative fuels, such as briquettes made from soil, charcoal powder, and waste paper (Green Belt Movement 2016, Green Belt Movement 2015, Climate Reality 2014). WMI also hosts conferences on a variety of topics such as environmental education, waste management, catchment rehabilitation, climate change, participatory forest management, and clean cookstoves (wmi.uonbi.ac.ke). The WanaKesho Program targets 10-17 year olds with the goal of instilling the values of courage, integrity and a life of purpose at the earliest age possible and to nurture these attributes to adulthood. The En-Courage Leadership Initiative targets 18-35 year olds with the goal of having them understand and adopt value-based leadership. 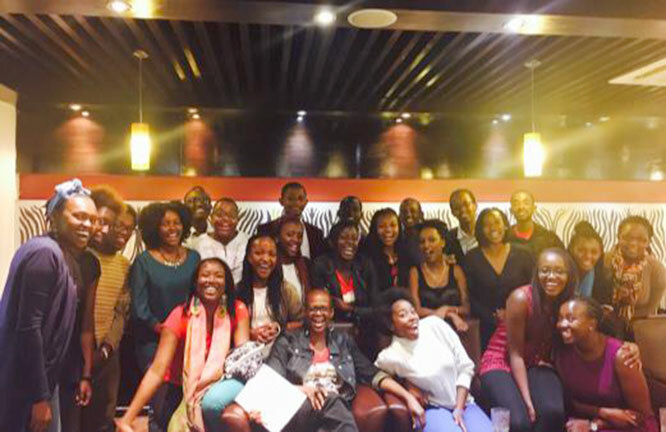 It recently piloted an innovative forum, the WMF Youth Café (wangarimaathai.org, WMF 2016). Wangari Maathai died in 2011. Her daughter, Wanjira Mathai, carries on her legacy as Chair of the board of the Green Belt Movement as well as Director of the wPOWER project at Wangari Maathai Institute and Chair of the Wangari Maathai Foundation. 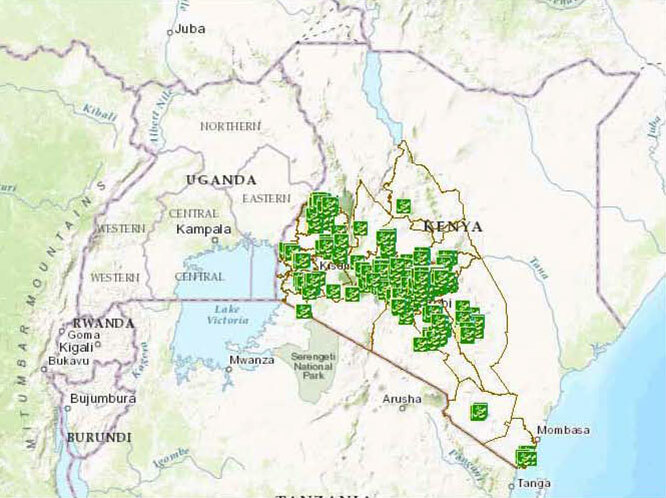 Currently the Green Belt Movement has 53 staff members at its Nairobi headquarters, and has satellite offices in Washington, DC and London (greenbeltmovement.org). According to GBM participant Ann Wanjiku Kariuki, "Even with Wangari gone, she is still alive, because we are reaping the fruits of her good work" (Green Belt Movement 2012c). The many benefits of GBM include ecosystem services, nutrition and income, empowerment, education and inspiration, democracy and peace. As mentioned above, forested watersheds are a vital source of water. GBM's efforts have revitalized dozens of dried-up streams and springs (see Figure 11). The trees also stop the erosion of valuable topsoil—both by water and by wind. This in turn results in better soil and cleaner rivers (Green Belt Movement 2012c, Soka Gakkai International 2014, Cox 2012, Strides in Development 2010, Maathai 2004a). The trees improve air quality by absorbing carbon dioxide and releasing oxygen. Karura Forest, for instance, is said to serve as the "lungs" of the city of Nairobi. Trees also slow the process of desertification and mitigate against climate change. In sub-Saharan Africa the rate of warming is twice the world average. Trees provide shelter from the heat, reducing the temperature, and they increase rainfall by transpiring moisture into the air. They absorb atmospheric carbon as well, which has a global impact (Climate Reality 2014, Green Belt Movement 2012, Green Belt Movement 2015, Green Belt Movement 2016, CGTN Africa 2013). Perhaps more directly important to the livelihood of Kenya's rural population is the supply of fuelwood, fruit, and fodder that trees provide. GBM's participants "proudly tell how they can quickly obtain sufficient supplies of wood fuel at no cost since it is now available on their farms." This in turn reduces the pressure on forests (Maathai 2004a, Green Belt Movement 2012c, Green Belt Movement 2016). Other ecosystem services that have been enhanced by GBM include (a) wildlife habitat and biodiversity, including the preservation of "important bird areas;" (b) the aesthetic beauty of the landscape; and (c) public space, recreation, and a place where young people have access to nature (Maathai 2011, naturekenya.org, CGTN Africa 2013). The household food security program and income-generating activities described above have greatly improved livelihoods. A greater variety of vegetables and fruits has created more balanced diets, and more fodder for livestock means more milk. Better fuelwood availability also means that nutritious foods that take longer to cook will no longer be missing from the menu (Green Belt Movement 2012c, Green Belt Movement 2015a, Maathai 2004a). While household gardens have become a "one stop shop" and women no longer depend so heavily on the local market for food, cash is needed for clothing, household goods, school fees, livestock acquisition, purchase of seeds, etc. (greenbeltmovement.org, Maathai 2004a). GBM pays only 10 cents per tree, but for nursery groups that plant many thousands of trees, this can amount to a substantial sum. Some nursery groups leverage their tree planting compensation for other income generation. For example, the College Tree Nursery in South Kinangop Constituency used their funds to buy an oven, which they use to bake cakes and cookies that are sold at local kiosks and markets. The group also started a revolving loan fund; this enabled member Doris Wanjiru, for example, to purchase a sofa and a cow. The income has led to a bit of a social transformation—"Not only are women able to provide for their families but there is also greater social equality within the families" and "these extra resources help prevent conflict in the family" (Green Belt Movement n.d.2). The income "provides women a measure of independence and even power in households and communities" (MacDonald 2005). "Sometimes when we think of the global problems we get disempowered. But when we take action at the local level we are empowered. Every one of us can make a contribution," said Wangari Maathai. By mobilizing ordinary people to improve their own lives and to take responsibility for stewardship of the environment, the Green Belt Movement has empowered both women and communities (Maathai 2004a, Soka Gakkai International 2014, DeLap 2013, Graydon 2005). Previously disenfranchised women were able to demonstrate their capacity to be natural resource managers, change agents, and decision makers, which improved the image of women overall (Maathai 2004a, Green Belt Movement 2015). They empowered themselves to make positive changes that not only make their own lives easier, but also create a cascade of benefits to the entire community. Wanjira Matai (Wangari's daughter) tells the story of a young researcher who found that old indices of empowerment do not apply. "Those women completely changed my definition of empowerment," she said (Bioneers 2015). Communities are empowered to mobilize for self-determination, justice, equity, poverty reduction, and environmental conservation (Scott 2013). For instance, upon learning in one of the GBM civic education seminars how coffee farmers were being swindled, they initiated a farmers-rights campaign. Also, communities mobilized to protect their open spaces and public lands (Maathai 2004a). The people of Nakuru County expelled their inept forester and formed a community forest association (Green Belt Movement 2016). The Green Belt Movement "has uplifted our lives so much," says Julius Githaiga of the Aberdare highlands, "I never knew that conservation was my right." The Green Belt Movement was also a pro-democracy force that helped change Kenya's government ("Partners in Africa" 2007). The University of Nairobi's Wangari Maathai Institute, described above, directly provides formal education. Students have received Ph.D.s with socially relevant dissertation titles like Linking the social and the spatial in forest related conflicts: The case of Eastern Mau Forest Adjacent Communities, Kenya and Livelihood impacts of decentralized forest management: A case study of Eastern Mau Forest Reserve, Kenya. With its extensive outreach program, GBM helped spread environmental consciousness throughout Kenya. They made people aware of ecosystem dynamics and the root causes and connections of environment-related problems such as hunger, malnutrition, and poverty; the lack of clean drinking water, fuelwood, building materials, and animal fodder; erosion, drought, and desertification (Maathai 2004a, Center for International Forestry Research 2011). 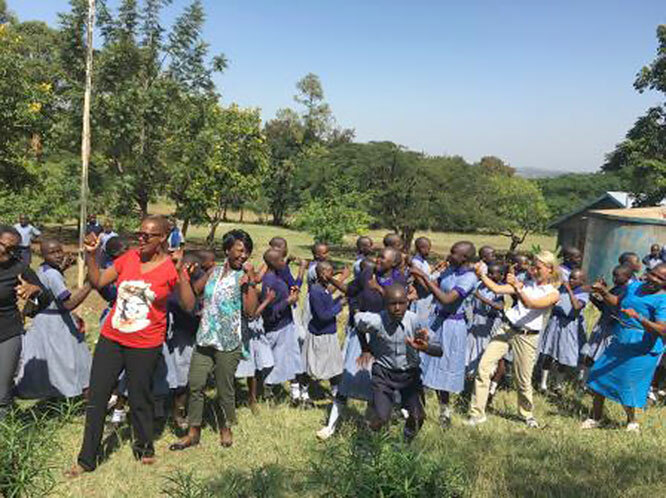 GBM established public tree nurseries at some schools, and now over 3,000 schools have woodlots that show students firsthand the benefits of trees (Maathai 2004a). Based on its film Taking Root: The Vision of Wangari Maathai (Independent Lens 2009), Independent Lens created two lesson plans for grades 9-12 and college: Lesson 1: From Roots to Branches: The Interconnectedness of Environment, Culture and Social Justice and Lesson 2: The Green Belt Movement: Evaluating Citizen Action and Environmental Change Strategies (Independent Lens n.d.). As far away as New York City, Maathai inspired a tree planting campaign as well as a scholarship known as the Maathai Award for Civic Participation in Sustainability. Every year it is awarded to two New York City students who exemplify stewardship and the importance of being a good citizen (Green Belt Movement 2012b). She inspired schoolchildren in Germany to start a project called "Plant for the Planet: Trees for climate justice," and a visit to Japan inspired a students' recycling program (CGTN Africa 2013). The Wangari Maathai Foundation's youth programs, mentioned above, are augmented by school visits. The Foundation also co-founded the Conversations on Education Working Group in 2016 (WMF 2016). At the local level, some environmental groups have been initiated, especially by the youth, as a result of what they have experienced or read about the Green Belt Movement. It has become clear to such groups that they are custodians of their environment and that they too must play a role to ensure that their environment is cared for. Maathai was fond of telling "the hummingbird story," a story about a large forest fire. The animals stood and stared, petrified by fear, feeling overwhelmed and powerless. Only the little hummingbird flew to the river, picked up a drop of water, and dropped it on the fire—over and over again. Seeing little effect, the other animals said "You are too small! What do you think you're doing?" And the hummingbird, without pausing its work, said, "I am doing the best I can." This is one inspiration for the #mylittlething campaign, which even Oprah Winfrey joined (her "little thing" is girls' education) (Green Belt Movement n.d.3, WMF 2016, Green Belt Movement 2015a, Kenya Citizen TV 2015). According to DeLap (2013), "Maathai's proactive approach to human rights, and addressing environmental claims, coupled with her pioneering approach of combining multiple social issues, resulted in a successful grassroots movement that stands as an innovative model for the global community to emulate." Africa has many conflicts fueled by the competition for resources. We fight over land, water, the possibility of sustaining decent livelihoods. We want people to understand there is a very direct link between the way we manage our resources and peace. If we manage responsibly, with accountability for our decisions, if we promote human rights and justice, we are more likely to pre-empt many of the reasons why we fight. In fact, DeLap (2013) credits the Green Belt Movement with addressing human rights violations before they reached the level of international recognition, like in Darfur (Sudan) or Somalia. Figure 13 shows the "negative tipping point" and its effects. As Wangari Maathai said, "If you destroy the forest, then the river will stop flowing, the rains will become irregular, the crops will fail and you will die of hunger and starvation." Deforestation leads to soil erosion—loss of the valuable humus that stores water in Kenya's five "water towers" to replenish rivers and springs. Erosion also pollutes the water that people depend on for household needs. Deforestation reduces evapotranspiration, so there is less moisture in the air and therefore less rain. Water shortages lead to crop failure, which causes hunger and poverty. Crop failure leads to more deforestation as farmers clear more land for farming, forming a vicious cycle. Figure 14 shows the "positive tipping point"—i.e., the Green Belt Movement's efforts—and its effects. Tree planting results in less erosion, maintaining the water storage capacity of the land to revitalize streams and springs. Less erosion also makes for cleaner water. Evapotranspiration from the trees causes more rain, which augments streams and falls directly on crops. Better crops means less hunger and less poverty. The planting of fruit trees produces more food, and the easy availability of fuelwood is important for cooking, so there is less hunger. Other GBM projects—such as food security and income-generating activities—more directly reduce hunger and poverty, as well as protecting public space. GBM projects also produce education, inspiration, and empowerment. This, together with more public space and the proven effectiveness of revitalized streams and springs, perpetuates the tree planting efforts to form a positive feedback loop. Community development initiatives should address community-felt needs. The message must make sense to the participants. There is need for good leadership. Work patiently to motivate communities. Reach both decision makers and communities at the same time. Field staff must be keen observers. The community must understand the project. The community must own the project. Democratic administration and management is key. Outside stimulation and facilitation. Wangari Maathai's education in the natural sciences, as well as her experiences abroad, became an outside stimulation when she returned home. Also, funding from international institutions helps the GBM carry out its work. Co-adaption between social system and ecosystem. As in many ETP case studies, environmental and social gains proceed together. The organization of hundreds of thousands of women empowered them to improve the ecosystem. Letting nature do the work. Once trees are established, they provide a multitude of ecosystem services and other benefits that improve the quality of life for Kenya's rural population. Transforming waste into resources. The farming methods introduced by GBM encourage composting, which improves soils and reduces the need for chemical fertilizers. A powerful symbol. 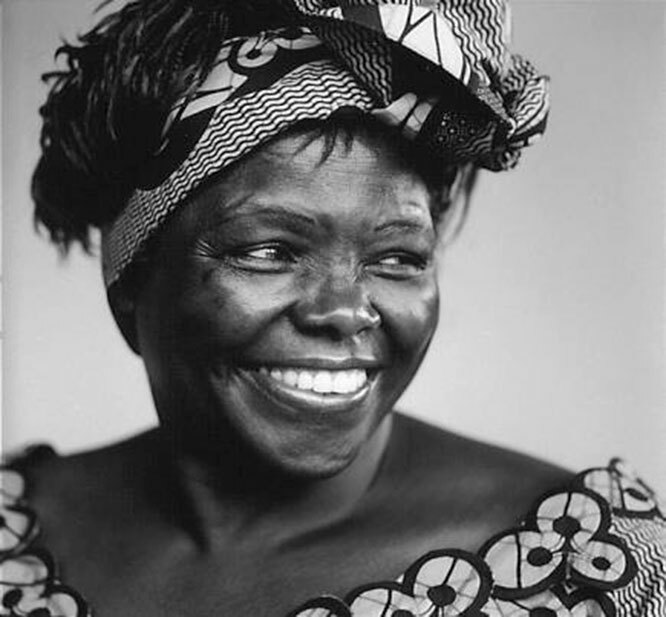 Wangari Maathai herself served as a powerful symbol. As a woman of many "firsts," with conviction and courage, she serves as a role model for women and "ecowarriors" everywhere. The little hummingbird doing the best it can is another symbol. Social and ecological diversity. Each tree nursery group is different, and their efforts increase biodiversity. Social and ecological memory. Wangari Maathai remembered the tadpoles. And all the women of GBM remember when water was clean and abundant, and firewood easily available. The land, presumably, "remembers" being forested in the past. Building resilience. Like a tree with deep roots, the GBM is strong because of its grassroots nature. Even the government could not stop a movement that has such a broad base. In addition, GBM projects improve the communities' resilience to factors such as climate change. Wangari Maathai's daughter, Wanjira, has stepped into her leadership role. Education and inspiration further ensure that the movement will long outlive Wangari Maathai. DeLap, Kayleigh Q. 2013. From Root to Tree: Wangari Maathai's Green Belt Movement—The Grassroots Approach to Addressing Human Rights Violations. Environmental Claims Journal 25(2), p. 144-153. Graydon, Nicola. 2005. From Tiny Seeds…. Ecologist 35(2), p. 36-39. Maathai, Wangari. 2004a. The Green Belt Movement: Sharing the Approach and the Experience. New York: Lantern Books. Maathai, Wangari. 2011. Challenge for Africa. Sustainability Science 6, p. 1-2. Motavalli, Jim. 2002. Africa's Green Belt. E: The Environmental Magazine 13(4), p. 18-19. Partners in Africa: The Green Belt Movement. 2007. Nature Conservancy 57(1), p. 30.